Millions of years ago a warlike alien civilisation visited far away planets with the sole objective of finding the ultimate weapon in their conquest of the universe. They took the apex predator from this un-civilised planet then experimented and augmented it. The T-R3X 1000 was created. The combination of these diabolically altered creatures has provided their masters with the ultimate invading force. Will YOU be able to survive? Will YOU be able to harness their technology? 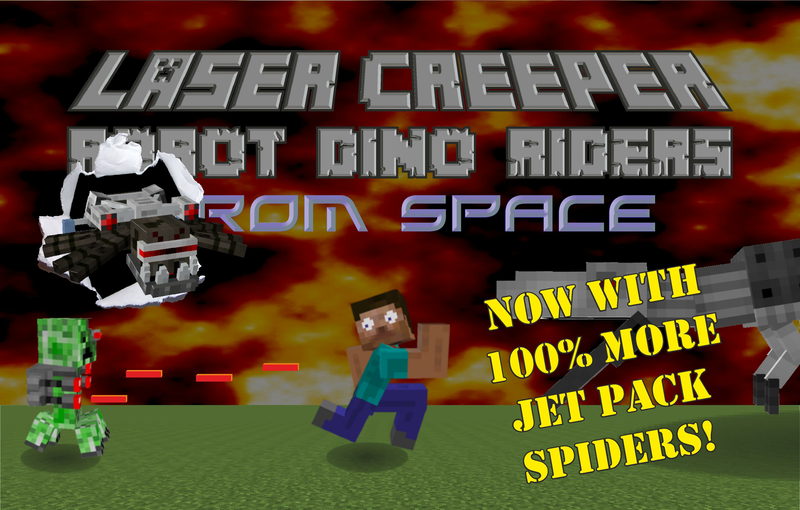 This mod adds 2 new mobs to Minecraft the 1st being the Laser Creeper. T-R3X 1000 Part this can be used, by you, to.... 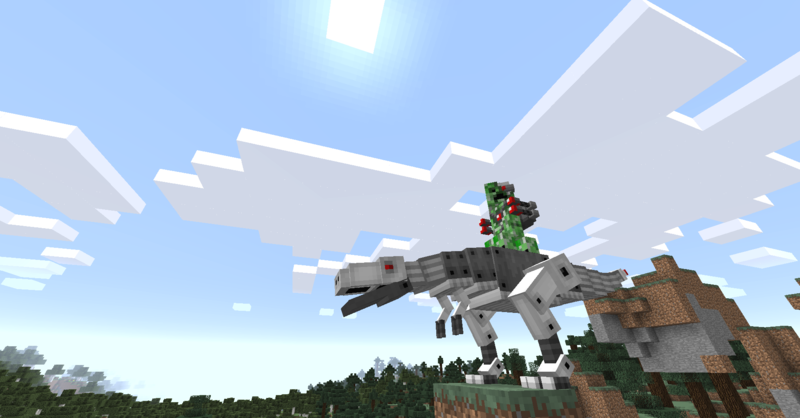 CREATE YOUR VERY OWN RIDABLE ROBO DINO! 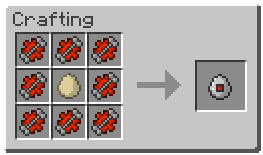 To Create you very own T-R3X 1000 you must 1st craft a Raw T-R3X 1000 Egg. 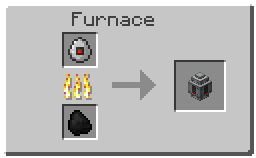 Then take the Raw T-R3X 1000 Egg and smelt it in a furnace to weld it all together. 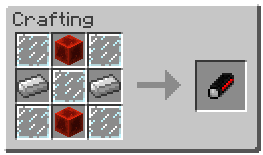 x64 Redstone Blocks. 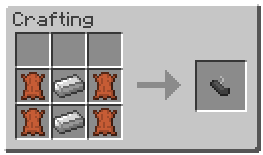 Whenever your T-R3X 1000 takes damage it can be repaired by feeding it more Redstone Blocks (right click on it). Only then will you be able to ride it by making a T-R3X Control Module. To Equip your T-R3X 1000 with the Control Module it must be fully charged (grown) - then just right click it and your mount will be ready. To Ride your very own Robot Dino just click on it with an empty hand and you will mount it. The T-R3X 1000 can not jump but it can run very fast and climb up most blocks easily. CRAFTING A LASER BLASTER - PEW -PEW! 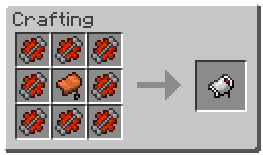 The Laser Blaster recipe is below. You will get x64 shots before having to re-fuel it . 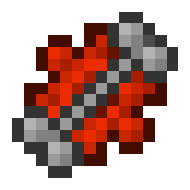 This can be done by crafting the Empty Laser Blaster with a with a Plasma Power Unit which is crafted from Laser Creeper Plasma in a 3x3. We hope you enjoy our mod. Since there's no issue tracker I'm reporting it here. 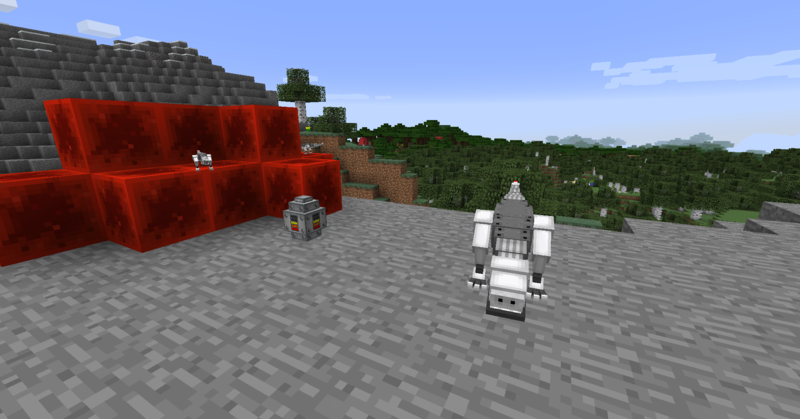 Also the mobs are able to spawn in broad daylight, which doesn't seem to be configurable. Try using the incontrol mod. 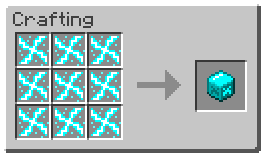 It allows you to do some pretty good limits / controls on mob spawning. 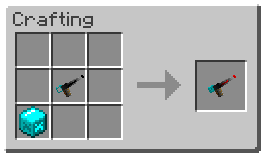 I used it with tech guns (which also had out of control mob spawns in the nether it felt like) and to disable the alien ant things in the desert. The broad daylight spawning was the only reason I removed this mod originally, I hadn't come back yet to try incontrol after I found that. There are some config file settings where you can at least delay the appearance of one or more of the mobs until the world is day x old so you have some time to get prepared before they start invading you non stop. PS. How about add a config how much of them can be spawn in an area? Anyone know how to use the jetpack? Sharks with freagin lazers, I see no sharks with freagin lazers! That and maybe some angry robotic squid. Thanks for the fun mod! Having issues with the mobs still spawning above light level 7 (even 8). Hi, I have a problem, I tried spawning the laser creeper but it will not stay (it will spawn for a split second then disappear) same thing happens when I place the Arthro Borg jetliner on the spider, the T-Rex works just fine but these will not stay spawned, I already checked if my difficulty was on peaceful but it was on easy, I tried putting it on hard, medium, peaceful then easy again, nothing. 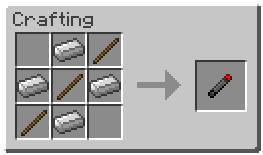 I tried rebooting Minecraft but nothing happened, is there a particular reason ? how do we fix this?? Change the Invasion spawn settings in the config. 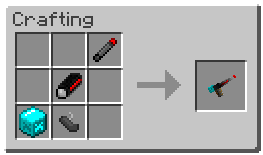 Can the laser creepers use the default skin so they can be retextured into the texture pack creepers i'm using. It just looks odd. Same thing with the spider. Thanks. I have a problem, or maybe I am the problem. 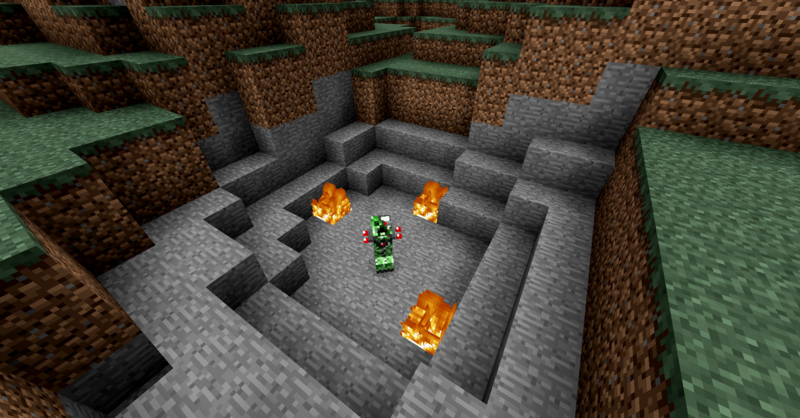 When I set up the Spawn of the mobs so that so many do not appear, many still appear day and night. Hello, I translated your mod, I leave the link below. o sustituye el archivo de configuración llamado [lcrdrfs] con este [lcrdrfs.CFG] es para la ultima versión del mod 1.12.2.